Not all the cutting takes place in some dirty field somewhere. Sometimes you have to bring the fight to the kitchen. Cucumbers, steak, garlic, potatoes...it all needs some blade work, and this is the one you'll want to turn to. 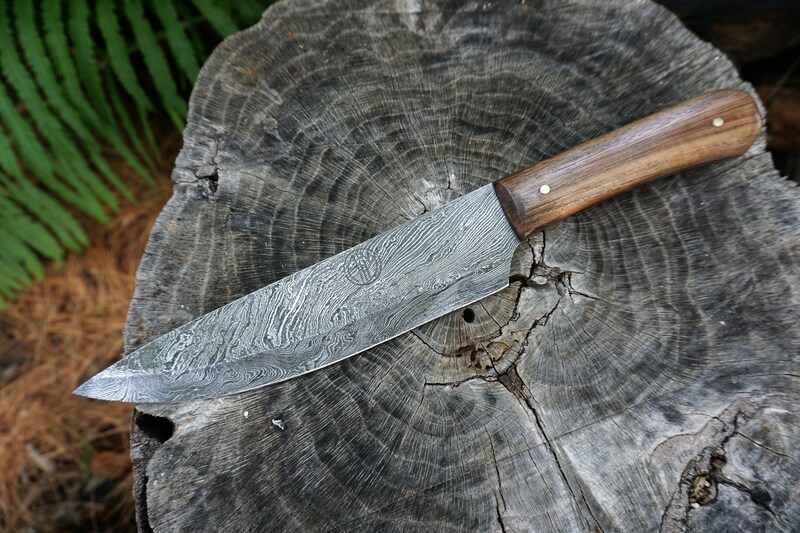 A hearty walnut wood handle gives way to 8 inches of beautiful twist pattern Damascus steel, tapering from a 3.5mm spine to a wicked sharp edge. 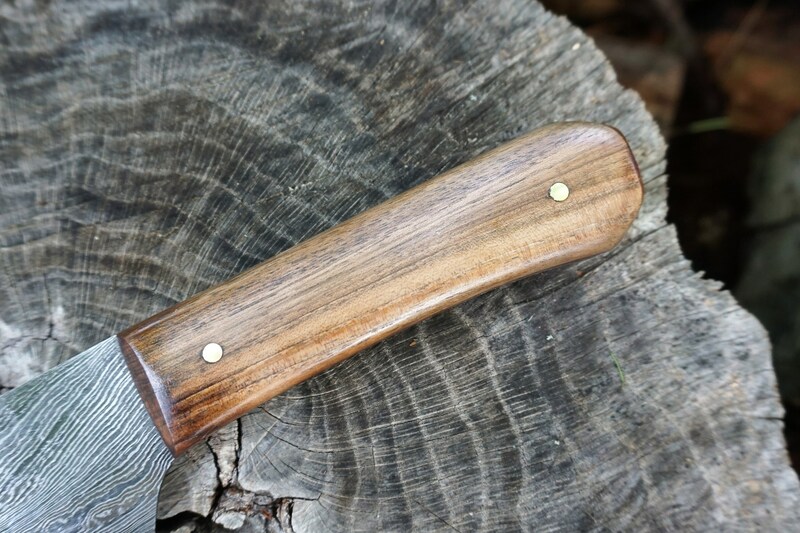 It hearkens to a knife passed down from through the generations. 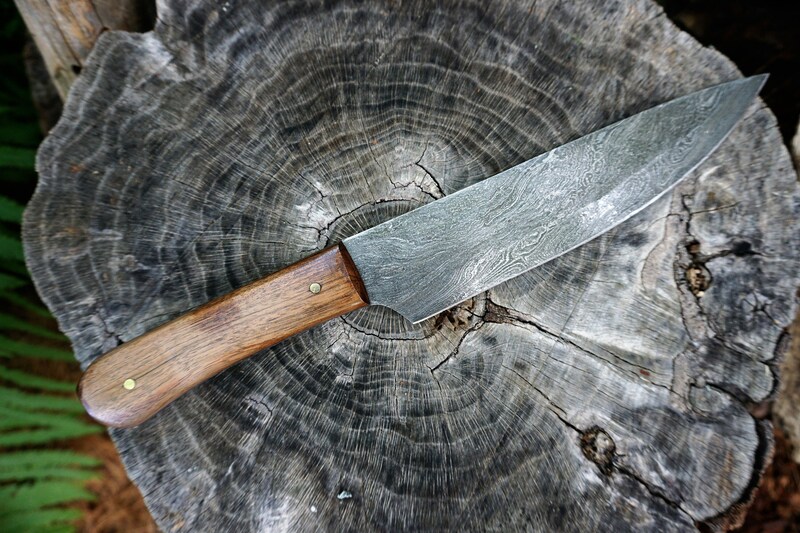 The thicker blade is designed to tackle your meats, not your dainty sushi. 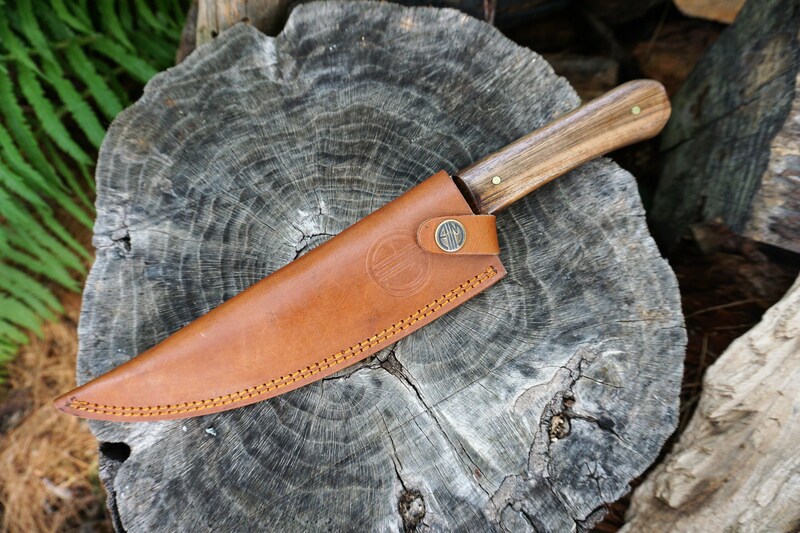 Just an all around perfect experience with Travis/AIM - the knife was beautiful and the sheath super well made. It was the gift winner of our xmas morning, and my cousin who received the knife loved it! Also, it feels great to support a maker like AIM blades because they support you back with excellent customer service and communication. Will 1000% be back! Thanks Travis! So happy with this knife, can't wait to give it to my boyfriend, he's going to love it!!! Shipped in amazing time, and I've honestly never been so impressed by something. It is beautiful, perfectly weighted, and an amazing blade. 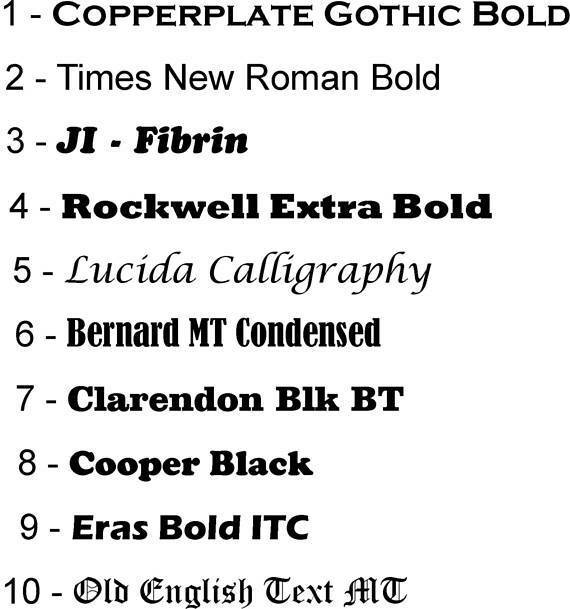 My highest of recommendations and thanks! 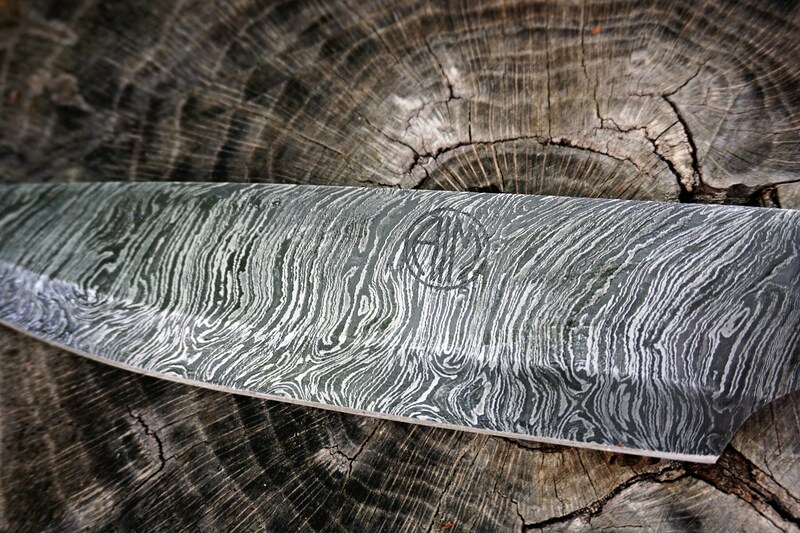 Very nice knife with a great Damascus pattern on the blade. Shipped quickly and packed perfectly - Thanks!